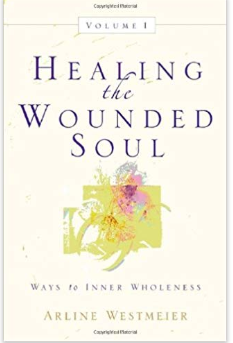 “Healing the Wounded Soul, Volume 1: Ways to Inner Wholeness” shows the author’s knowledge and insights about different aspects of healing to inspire readers on their path to wholeness. With her years of experience in counseling, Dr. Arline Westmeier creates a four-volume set of helpful resources that focus on one’s journey towards finding complete healing. She expertly tackles different facets and processes of healing to guide effectively guide readers every step of the way. She also integrates the importance of faith and how God’s grace and guidance can also be an integral part of this process. “Healing the Wounded Soul, Volume 1: Ways to Inner Wholeness” is the first of her four-part self-help book which focuses on the aspect of inner wholeness. Throughout the chapters, she answers important questions such as how to cultivate forgiveness or why is there suffering and pain even if one has a strong faith. As Westmeier answers these questions, readers will get to understand why these things are integral to the entire process of healing. Not only that, she combines these insights with her expert knowledge by explaining and illustrating these aspects in a way that every reader will understand. Most of all, she explains how Jesus’ sacrifice at the cross healed not just people’s sins and sickness but also their psychological wounds. “Healing the Wounded Soul” definitely digs deep into the realities and processes of healing which makes it a worthy read for everyone. Dr. Westmeier’s inspiring book is also set to join the upcoming Los Angeles Times Festival of Books. The celebration takes place at the University of Southern California on April 13-14, 2019 so save the date!